Since lace will be huge (again!) 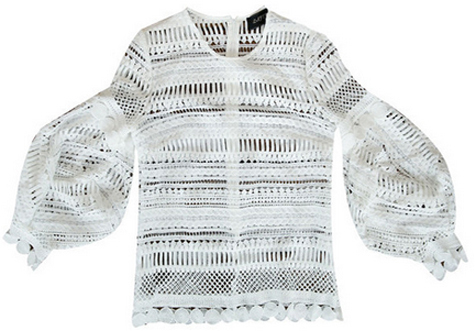 this spring, a dramatic, balloon-sleeve blouse is only fitting! Love it! I've been eyeing a similar Self Portrait blouse, but I like the lower neckline on this one much better! Ordered!